One of my goals this year is to improve my sleeping quality as a way of reducing stress and shedding some fat. 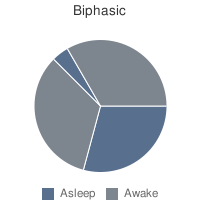 This article popped up in Feedly–it’s a good reminder of an issue I read about from Mark Sisson a couple of years ago, what he called biphasic sleep. I have had this experience of waking up around midnight, especially when I’ve been giving myself more time to be in bed. When it happens, I will listen to a podcast in the dark for an hour. I have no reason to worry about it or label insomnia.